If you want to take a break or just have a relaxing day with the family or your friends, you may want to fish for trout or char that swim happily in the numerous rivers and lakes of the area. 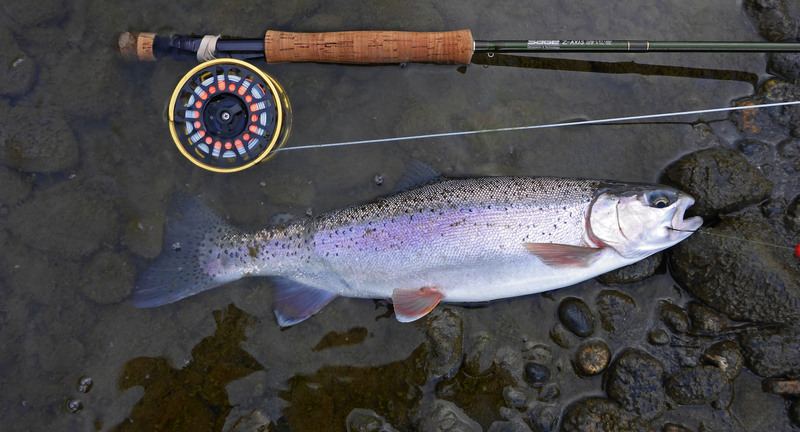 The species available are Rainbow trout, Cutthroat, Coastal Cutthroat, Dolly Varden, Bull trout and then in big lakes you could have a chance to hook a very big Lake trout. The average size is 18 to 20 inches with the exception of the Bull trout that can reach up to 30 inches and the lake trout that can became as big as log. Trout and char can be fished all year round in rivers meanwhile the best results in the lakes are obtained from April to November. 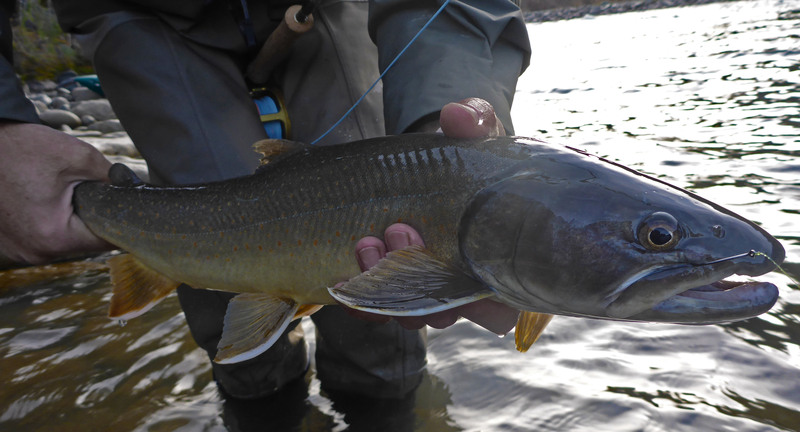 To name all rivers and lakes where it is possible to fish is quite impossible. 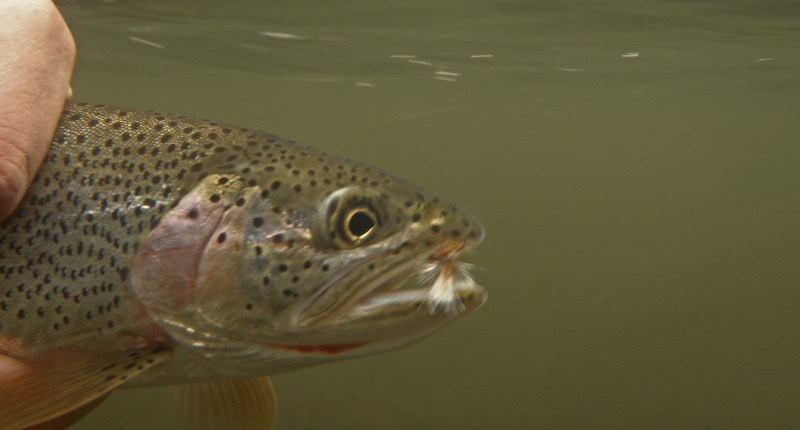 In the rivers it is possible to fish for all the trout and char species. They usually feed on all kinds of insect stages at all stages of their lifecycle (nymph, emerger, adult and spinner) but during the salmon frenzy season they feed on salmon eggs, salmon flesh and salmon frying. Trolling in the big deep lakes is the best option for catching big trout, as an alternative it is worth fishing at the mouth of the various rivers as they enter the lakes. Small and shallow lakes are a good alternative. Here the best results can be obtained by fishing at the edge of the floating grass. Do not forget to try a cast or two a the mouth of the rivers, you never know. All sorts of spinners and minnow. You can cast the lure with your rod or trolling them. 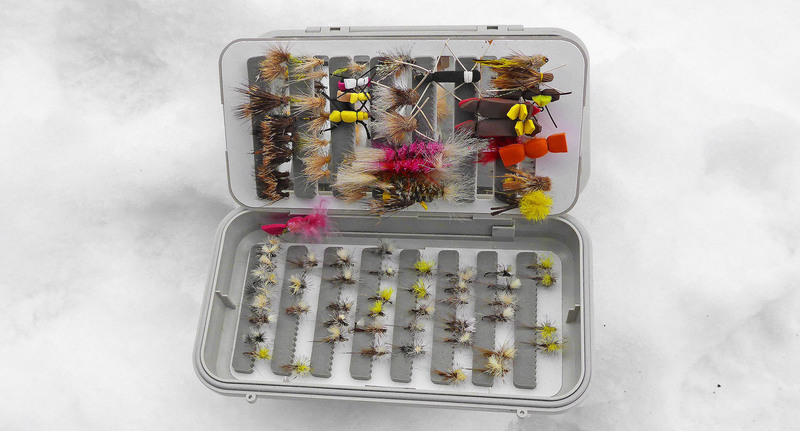 All standard patterns of flies are successful in all waters type. They can be fished dry or wet depending on the feeding momentum of the fishes.